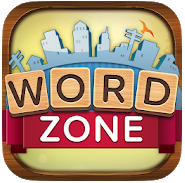 Word Zone is a fun and addictive new word search puzzle game to train your brain. With more than 1000 levels for you to play fun is guaranteed. Your task here is to build words by swapping letters in this word puzzle games. This is a very fun game and it doesn’t get boring. Once you start playing its hard to stop. Easy to play but hard to beat as the difficulty increases as you go. First try to solve yourself but if you get stuck and need help here you will find all the solutions. Hope you like our Word Zone Answers. This game is fun and addictive and very different from other word games out there. Amazing app! So addictive! I really do recommend this app for time passing, if you are bored and if you just want a fun game to play! Twisted Bamboo LLC is the developer of this app. It can be downloaded for free on Google Play.